You're Engaged!! YAYY! After all the excitement settled from the proposal, you probably sat down and thought, "Sooo... What now?!". Well now, we plan a wedding and by the end of this process, you're going to be a Wedding Pro with knowledge of chargers, lanterns, & peonies! Our goal is to capture your Wedding Day beautifully, but with the main focus on you, the couple! We focus on building a friendship with you. When we arrive on your Wedding Day we want you to feel like we're an old friend and not just another Wedding Vendor. Making sure you look your best, feel comfortable, and enjoying your day is our goal because it creates real moments of laughter & smiles. We're going to have a front row view to the first time you see yourself in your dress, hair done, make up on with your mom silently crying behind you. We'll be there for the last few moments of you being each others fiancé's to the moment you say, "I Do" & you're MARRIED (yay!). It is such an honor to be there for you on your Wedding Day, not just as your photographer, but your friend cheering you on from behind our cameras! The first step in the photography process is saying hi! We'll set up a time to meet & get to know each other. We have couples from all over the country and we know life gets busy, so if a phone or video call is more better for you, we can do that too! Either way, we'd love to talk and get to know you, your fiancé & reserve your Wedding Date! All of our Wedding Collections comes with an Engagement Session because it helps you get comfortable being photographed. Think of it as the dress rehearsal for your Wedding Day Photography! Plus, we have a lot of fun being goofy and creating beautiful photos! We're very hands on and work closely with you to ensure everything about your Wedding Day Photography is perfect! We like to go out to the Venue with you for a walkthrough to get a sense of why you picked it and to give advice from the photographers stand point. We finalize the timeline & the family shot lists prior the Wedding Day. You tie the knot. We photograph & take some incredible photos of you. We laugh, we cry, we celebrate with you. Then we all wish we could do it all over again next weekend! Aside from the actual day, the day you get your photos is the best day ever! 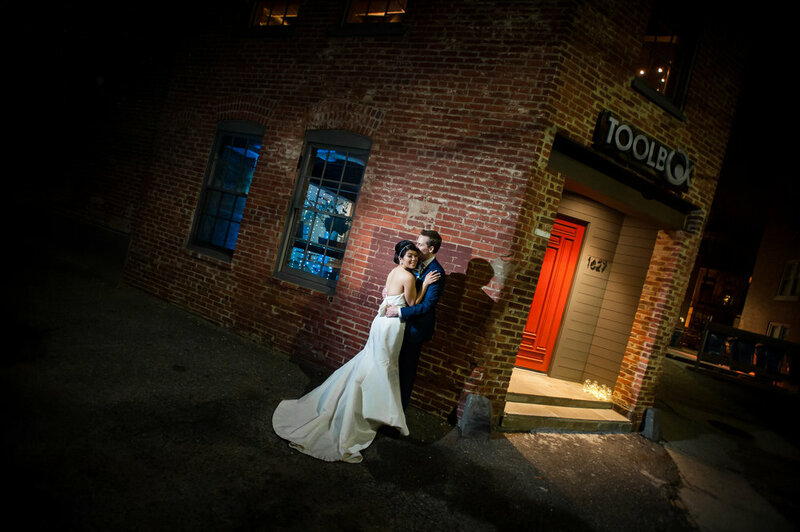 We'll deliver your Wedding Photos to you in 4-6 weeks to a private online gallery. We can't wait for the excited phone calls, texts, &/or emails about how good you look! For us, the Wedding Photos feel so much better when you can hold them which is the main reason we include an album with each of our packages! We work with you to create an album that tells the your Wedding Day Story that you want to share with everyone for the years to come. We fully color correct and edit all of our images ourselves and deliver them to you in an online gallery that allows direct download. We don't have an image count for our Wedding because every Wedding is different & has different circumstances, but we make sure to deliver all of the amazing images of your Wedding Celebration! We send a Wedding Questionnaire to you 3 months prior to your wedding date that will ask all of the questions we'll need answers to to create the your custom photography timeline for you. This will help us create the family shot list, so family portraits are quick, easy, and no one is forgotten! Every Bokeh Lane Wedding has two photographers. This way we capture every laugh, tear and crazy dance move on the dance floor! We like to go over the Timeline & Family Shot List at the venue when we meet you to do your walkthrough. This let's us sit in on the meeting you are having with a coordinator, caterer, etc. to give any insight or advice from the photographers stand point. We'll walk the grounds and figure out what spots you love for your couples walk. This is a must for our couples. It is a gorgeous album, we design with you, that will hopefully live on your coffee table and you'll share with everyone. This is a 10 spread 30 page album with images of your choice that is Library Bound with a Leather or Linen Cover.  Find what our past couples have to say about working with us!